Sonder Brewing — Sonder Brewing offers a uniquely crafted beer selection and taproom space in Mason, Ohio. 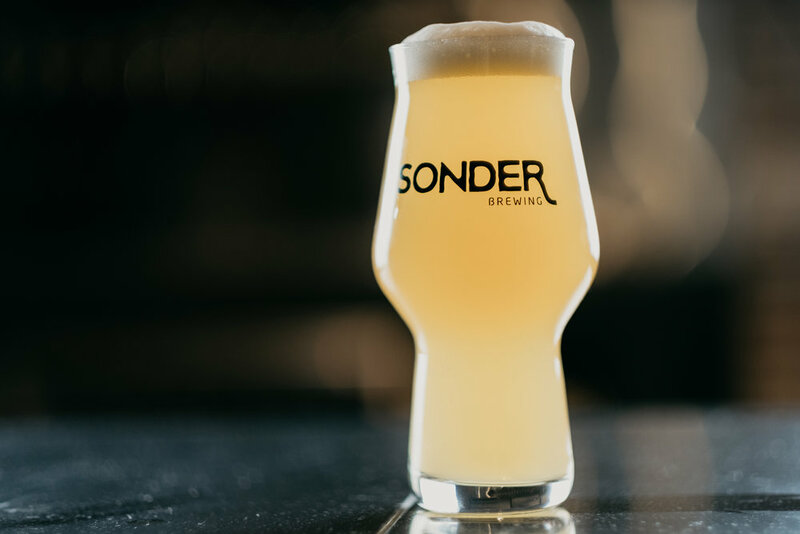 Located in Mason, Ohio, Sonder Brewing crafts high quality beer with a mix of story and community. sonder (n) - the realization that every person has a unique story. Just like every person has a unique story, so does every beer. The story of Sonder beer is truly becoming a reality with the opening of the Sonder Brewing facility at 8584 Duke Boulevard in Mason, Ohio. The 15,200-square-foot building holds a 30-barrel brew house with American-made equipment and features 2,000-square-feet of taproom space. The Sonder team plans to brew high quality craft beer and offer a menu of locally sourced food items. The Sonder Brewing facility includes a taproom with a spacious bar area as well as open areas with seating for larger groups, an outdoor patio area, and a large family-friendly lawn area. Sonder has a vision to work hard for sustainable and environmentally friendly business practices. We hope the Sonder story becomes an important part of the unique story of our community. The Shine Like Sable Foundation was formed to honor the memory of Sable Gibson who passed away at the age of 10 this past February. The Foundation has a focus on paying it forward with kindness, just like Sable so often did for her classmates. Foundation initiatives include weekday and weekend food packs, buddy bench awareness, supporting teachers, and more, wherever kindness leads them. BrewRiver Kitchen serves daily until 1 hour prior to close. See menu below. Sign up with your email address to receive news about upcoming beer releases and events. BrewRiver Kitchen serves in the Sonder taproom daily from open until 1 hour prior to close. Please order at the order window and you will receive a text when your food is ready to be picked up. Enjoy! Whatever fell in the barrel. Fresh vegetables pickled in house. Made with Fontina, Gruyere & parmesan cheese. A delicious, creamy soft serve made with Sonder beer choices. Ask about the flavor of the day. More information on catering, visit the Brew River at Sonder website!